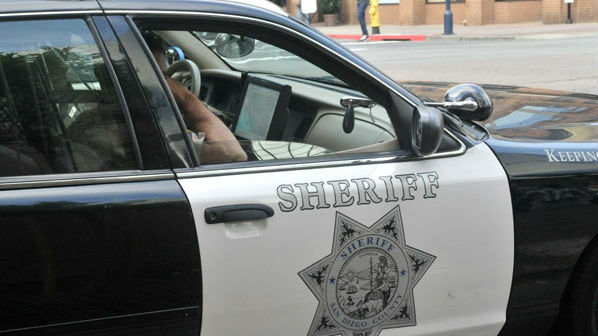 A 14-year-old Steele Canyon High School student was arrested for allegedly sending a threatening message to another student at the Spring Valley-area campus via Snapchat. The boy allegedly sent the second student a picture Thursday evening of what turned out to be a BB gun with a caption that said not to come to school Friday, according to the sheriff’s department and school officials. Deputies contacted the suspect and his parents Thursday night and placed the boy under arrest around 10:45 p.m., sheriff’s Sgt. Matt Cook said. The BB Gun pictured in the post was confiscated. The boy allegedly admitted to making the threat and said he had acted alone, according to the sergeant. In a message posted to the school’s website, officials said law enforcement officers had dispelled rumors that anyone else had been involved. Cook said deputies would conduct extra patrols at the school as a precaution.